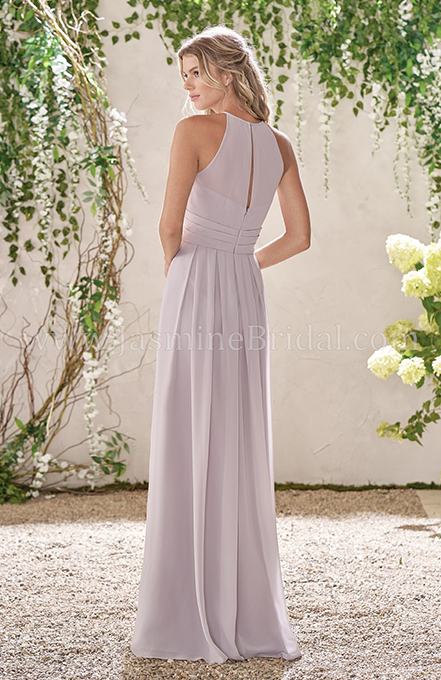 Beautiful poly chiffon dress with an illusion neckline and ruching at the bodice and skirt. Ruched waistband and vertical slit on the top back of the dress all in a graphite colour. Floor length, Available in tea(30″) or knee(25″) length.